The Irish Football Association has announced a four-year sponsorship extension with Vauxhall Motors that will see the British vehicle manufacturer maintain its position as Lead Partner to the Northern Ireland national teams. 2011, will now run until July 2018, up to and including the FIFA World Cup Finals in Russia. Within that period, Michael O'Neill's side will embark on their UEFA European Championships 2016 qualification campaign with the Northern Ireland women's and youth teams also competing in tournaments and matches throughout the world with the support of Vauxhall. "We are delighted to have extended our relationship with the Irish Football Association and all of the Northern Ireland teams," said Vauxhall Chairman and Managing Director, Duncan Aldred. "The passion that the Northern Ireland fans show at every game is inspirational and was a key factor in our decision to extend the sponsorship." "To have pledged our support to the Northern Ireland teams for a further five years demonstrates our commitment to helping the Irish FA to develop football in this country," Duncan further added. "We have experienced fantastic levels of brand awareness over the past three years, and look forward to the ongoing relationship with the Irish FA for the extended period as lead partner." "This partnership is a clear and unequivocal sign of Vauxhall's long standing commitment to Northern Irish football and will provide support from grassroots up to the elite level." 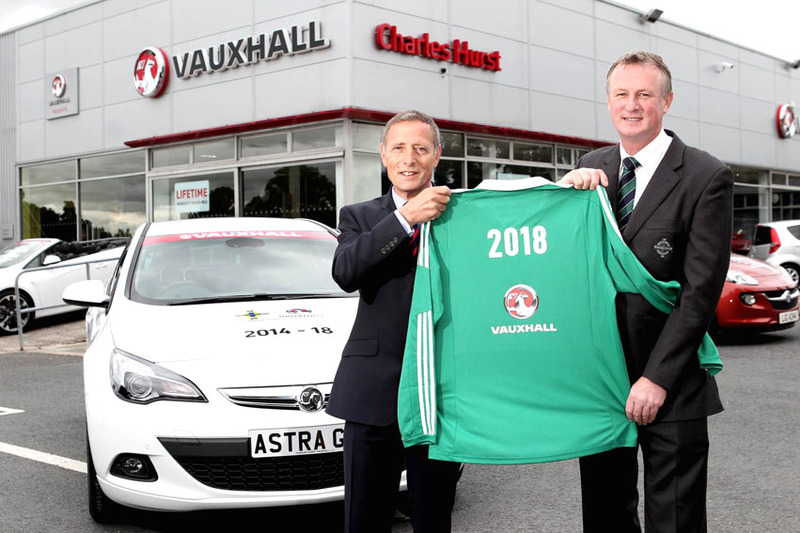 Announcing the extension at the Charles Hurst retailer in Lisburn, Irish FA Chief Executive Patrick Nelson said, "We are extremely proud to have extended our relationship with Vauxhall." "The support that we have received from Vauxhall has been phenomenal and has installed a confidence and belief in the national team." "There is a real optimism surrounding the future of Northern Irish football and we are delighted that Vauxhall will be an integral part of it," added Nelson. "I look forward to sustaining a prosperous partnership that will inspire Michael O'Neill's side for the rest of the FIFA World Cup 2014 qualification period and into the UEFA Euro 2016 campaign."